Sheffield Friends of the Earth's AGM was held at the April meeting. Shaun presented the comprehensive Annual Review (see next section). Liddy presented the accounts and noted that thanks to a recent donation of £300 the account was still in good health despite having successfully spent most of the ring-fenced Anti-Fracking funds raised from the Burns Night event in the previous year. Yearly review and accounts - There was discussion of some of the highlights and opportunities to build on the activities including the Plastics campaign and Anti-Fracking activities. We discussed possible opportunities and currently unfilled roles including social media. Justin has offered to build up the Twitter account with appropriate branding and postings for the group. Tamara agreed to run the Action Network site which allows us to create petitions. National FoE are able to offer support and training. Campaign priorities for 2019-2020 – We agreed that Climate Change was an overarching priority and that we would continue to campaign on air pollution, anti-fracking and plastics. Worked with Louise Haigh MP to support the Plastic Pollution Bil. Planned a screening of “A Plastic Ocean” film with Festival of Debate. Met with 65th Ecclesall Brownies for a talk and some activities raising awareness about the huge problem plastic waste. Gave a plastics talk and activities with Year 4 pupils at Rivelin school. Tried to organise a beach clean-up with The Deep in Hull but they didn’t want to work with groups. Promoting the FoE plastics petition. Written to supermarkets and shops about reducing packaging and plastic waste. Contacted the council about local changes to recycling. Contacted tetra pak regarding the lack of recycling facilities in Sheffield. Involved in publicity for the Clean Air Zone. Graham has been building monitoring kits and has events planned for making more. Involved with the School Streets campaign. Richard has provided lessons with Year 5 students and a Clear Air school assembly. A FOI request was turned down by Sheffield City Council. Sheffield FoE worked with National FOE to pursue this. Individual members contributed to the Supertram consultation. Supported the action outside HSBC near Chesterfield Market. Supporting transport for a Peak District action planned for Mam Tor. Sharon Wilson a Texan anti-fracking activist addressed a meeting in Doncaster hosted by Friends of the Earth. Sheffield FoE attended. With Sheffield City Council we organised a talk by Dr Ian Fairlie and John Busby on the dangers of waste water and radioactivity associated with fracking. Helped with a Sheffield Against Fracking stall at Sheffield Fayre in Norfolk Park and at Ecclesfield Gala with Frack Free Ecclesfield and Chapeltown..
Met with the local Labour Party chair and identified some appropriate GMB contacts to try and mobilise Labour activism against fracking. Supported other local anti-fracking groups financially and with campaigning. Sheffield FoE were in the local newspapers and on Look North regarding the Clear Air Zones. Sheffield FoE signed a Brexit letter in the Yorkshire Post explaining that a non deal was bad for the environment. We signed a letter to the Yorkshire Post about INEOS sponsoring cycling events. Gave a radio interview about our anti-fracking exhibition at Museums Sheffield. Responded to the Green Journeys press release. As a result of this Hallam FM interviewed us for the main news bulletin which went out at drive time. Peace and Craft fair stall. We distributed some leaflets and displayed our banner at the school strikes. Obtained new materials from national FoE including fracking and air pollution posters. MoveGB wanted us to promote their reusable bottles but it wasn’t possible for us to get involved. Publicised our meetings in Opus/Now then magazine. Christmas meal in the Red Deer and celebrating Richard's birthday. We met with Chloe Brown to participate in her Art video project by doing the “Wigan clap” in FoE and Clean Air t-shirts. Taken part in interviews by Ana Laranjeira from Imperial College London for Just Transition to a low-carbon economy project. Simon Bowens (national FoE) introduced some ideas for developing the local groups and asked for feedback from the group. Investigated the “Action Network” tool for creating petitions. Graham provided an update on his monitoring kits which are now at many pollution hot spots (51 already on line providing data). Richard is providing Air Pollution activities in schools and liaising with media contacts who are interested in local school campaigns. 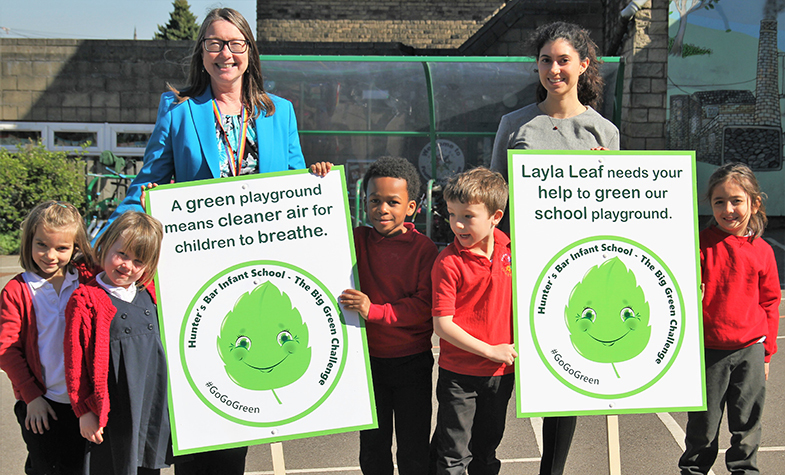 The Hunters Bar School screening project was cited as a great example of schools and parents taking the initiative to protect their children from the effects of air pollution. Click here for more details of the project. Richard and Amy will discuss future support for the MPs campaign to promote a Plastics Pollution Action Plan Bill and the petition. 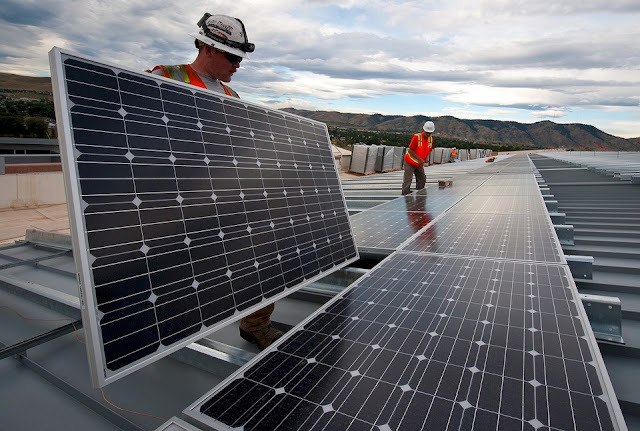 Tamara provided an update on the FoE webinar on their current campaign which is focusing on getting a national government pledge by Dec 2020 to meet a target to be carbon neutral by 2045. They are working to co-ordinate action between now and end of 2020, working with other campaigning groups to ensure as many people are as involved as possible. June provided an update on anti-fracking events. 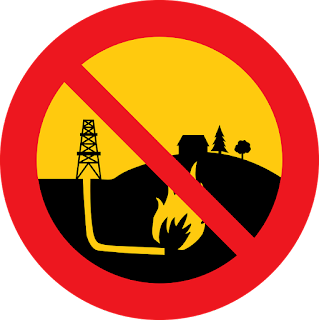 The appeal against INEOS injunction was partly successful; an international tribunal have recommended a global ban on fracking; fracking companies are trying to get rules on earthquakes associated with fracking relaxed. Richard has some new anti-fracking publicity materials that focus on earthquakes associated with fracking activities. There may be protests about “Team INEOS” cycling sponsorship. There may be action planned associated with the Tour de Yorkshire. There is an event planned at Mam Tor on 9 June and we are providing funds for transport. There is a May Day event in Sheffield on 4th May and event in Chesterfield on 6th May. Richard gave positive feedback from the High Storrs School Eco Expo. 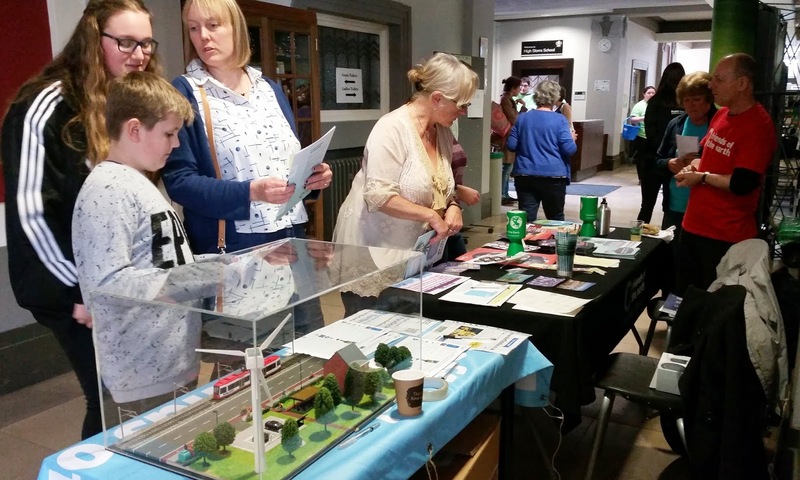 Our stall with Shaun’s Eco City model raised lots of interest, as did Richard’s talk on solutions to Global Warming. High Storrs School's Eco Expo. The Sheffield Friends of the Earth stall and eco-city model. 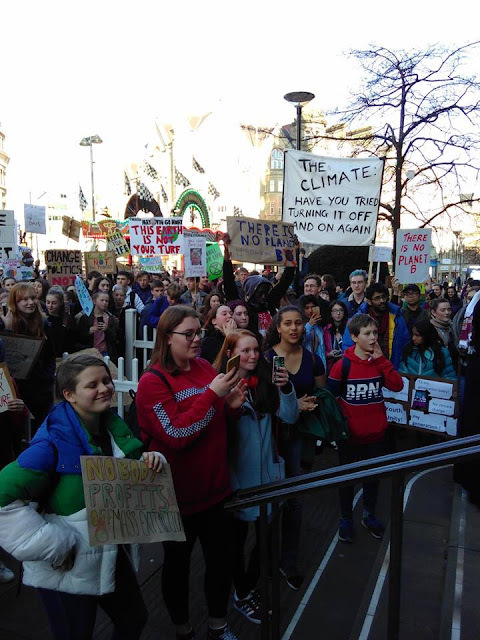 FoE Groundswell events for Climate Change campaign are in Manchester 1st June 10-5 (Richard, Tamara and June attending), Also an event in Darlington on 18th May. You can book these on Eventbrite. Also coming up: Clean Air Day 2019 is on June 20th. We will discuss again at May meeting with Graham’s input. Anti-fracking stalls are being planned for May and June – next one is Barlborough Hall Country Fair stall on 4th May (Richard organising with SAF and local anti-fracking colleagues). Peace in the Park is the same weekend as Mam Tor event so we agreed to prioritise supporting the latter event. Other potential stalls including Heeley City Fair and activities for Clean Air Day will be discussed at our May meeting. Hope for the Future emailed to say they are now working with local councillors as well as MPs and we agreed to invite them to a local group meeting to share strategies to increase impact of our work with local politicians. Richard had done a talk and activities with Year 4 at Rivelin. Shaun has been in touch with Amy Parker originally from Bristol, but now living in the Peak District. She has lots of experience with beach clean-up activities and a link to the producer of Plastic Ocean so might be able to provide additional contacts. 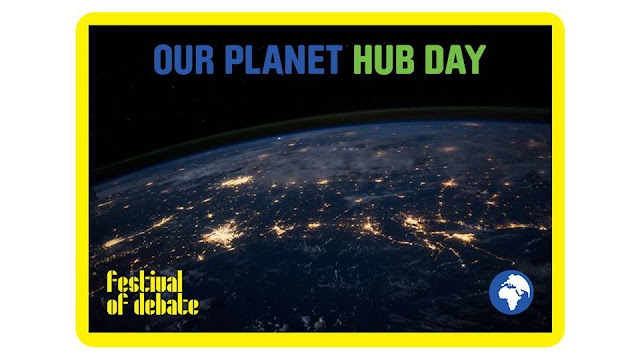 The Plastic Ocean film screening with Festival of Debate has a 2 hour slot (starting at 2:30 at Theatre Deli as part of the One Planet Hub Day) so there will no be time for more than a short discussion/Q&A. See https://www.facebook.com/events/976614342538285/ for more details of the Festival of Debate event which takes place on Saturday May 11. MPs’ plastics campaigning group – 30 MPs attended the meeting at Westminster to launch a campaign to support plastics legislation. Sheffield Friends of the Earth supported the action outside HSBC near Chesterfield Market on Sat 9th March. In addition we provided leaflets on fracking to Chesterfield Climate Alliance and Chesterfield Against Fracking who were highlighting the HSBC financing of igas at Misson Springs in North Notts and HSBC's financing of coal-fuelled power stations in Vietnam and other South-east Asian countries This last point has been particularly pointed out by Christian Aid who have a letter you can send to HSBC's CEO. At Woodsetts, the council withdrew objections to the traffic plans and there is an appeal from INEOS in progress. At Misson Springs, they are already drilling on site; there is both a protection camp in need of donations and an ongoing petition. We are supporting transport for a Peak District action planned for Mam Tor on 9 June. 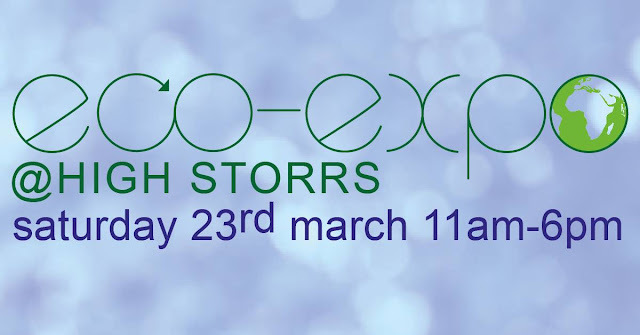 High Storrs Eco Expo - Saturday, 23 March 2019 from 11:00-18:00; Shaun’s model will be on the stall and Richard’s talk is at 12:00. Hope for the Future is a church group addressing climate change with MPs through identifying common ground and then working to change attitudes; they are running a training session. “Groundswell” is a series of one day regional FoE training events; Richard attending the one in Manchester; signing up is on line via FoE website. Clear Air Day will be 20th June. Donation in memory of Kenneth Slack – We received a donation of £300 from the family of Kenneth Hadfield Slack collected for Friends of the Earth in his memory. His daughter kindly sent us the Order of Service from his funeral on 7th March. It is evident from the tributes from his children and grandchildren how much he loved the outdoors and shared that passion with those around him. We are very grateful for the donation which will be used to support all our local campaigns to protect the environment that he loved. Next Meeting and AGM will take place on Monday 15 April at 7.30pm. The Government declare a climate emergency and prioritise the protection of life on Earth, taking active steps to achieve climate justice. The national curriculum is reformed to address the ecological crisis as an educational priority. The Government communicate the severity of the ecological crisis and the necessity to act now to the general public. The Government recognise that young people have the biggest stake in our future, by incorporating youth views into policy making and bringing the voting age down to 16. 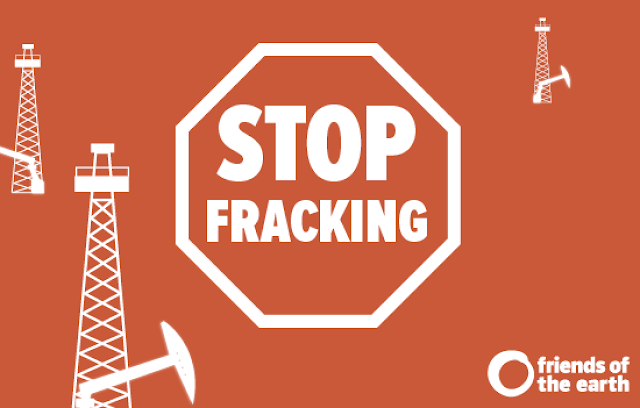 We have various new materials from national FoE including fracking and air pollution posters and leaflets. Monitoring kits – Graham has a strategy for collecting monitoring data across the city and event to make the kits is planned provisionally for 10-12am on 10th March at The Diamond (so long as parts arrive in time). Discussed how best to engage people across the city in making and installing kits. School talk & School Streets campaign – Rachel Hand from SCA met with Richard and Graham to discuss the campaign last week. Graham did the petition last year for School Streets and took to the Council but as Jack Scott currently suspended, meeting with council is on hold but Graham will follow up with Cllr Jack Scott’s PA who had organised the meeting. He is also working with a number of schools interested in School Streets campaign and sharing information and support with monitoring kit, offering talks etc. Sheffield FoE have “Clean Air “lessons and an assembly that we can deliver to any schools that request it. Greystones Primary have taken up this offer in March. Gove has announced national plans to standardise recycling. Sharon Wilson a Texan anti-fracking activist addressed a meeting in Doncaster hosted by Friends of the Earth. She emphasised how important it was to stop fracking from happening in England. Unfortunately, many are reaping the consequences of the industry with many cases of ill-health and local environment being ruined. Anybody want to join us in helping out with a stall in Barlborough on Sunday 5 May? (Richard will take materials and gazebo). Sarah Swords is organising a minibus for an event in the Peak District National Park in June. Sheffield FoE will help to fund this. 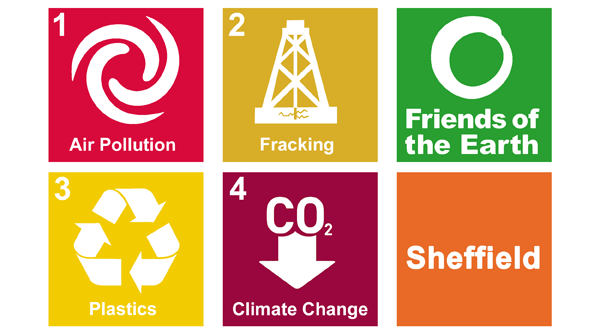 29 March - 1 April “A Frack Free Fraction Festival” is planned (sign up to the SAF newsletter to get uptodate info; Woodsetts Against Fracking is looking for expertise to help support their campaign. 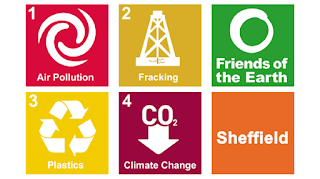 On 9 March Chesterfield Climate Alliance are having a demonstration outside HSBC Bank in Chesterfield from 9 am as they fund fracking (related to Misson Springs in North Notts near South Yorks border). Sheffield FoE will look to support this event.